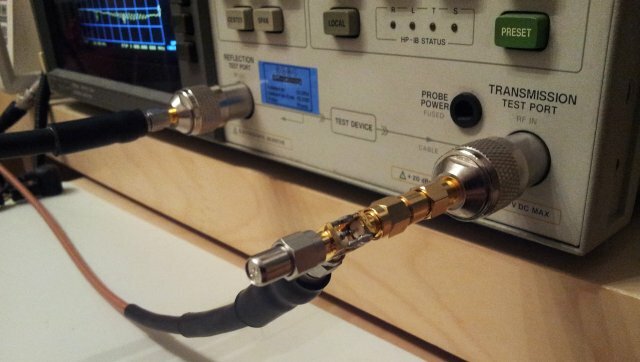 For leveling of signals, or test that require two tracking channels, like tracking insertion loss measurements, a resistive two-element divider is very handy. These are broad-band, and rather robust devices. One input, two resistors (50 Ohms each), in series with two outputs. Such devices are available from various suppliers, and cost anywhere from 25 to 300 USD, depending on level of precision and frequency range. Why not try to build one yourself, with some small 0603 resistors; I used China-made SMA connectors, and 4 pcs of 100 Ohm resistors. Tracking is pretty good, 0.05 dB @2 GHz, 0.15dB @2 GHz. 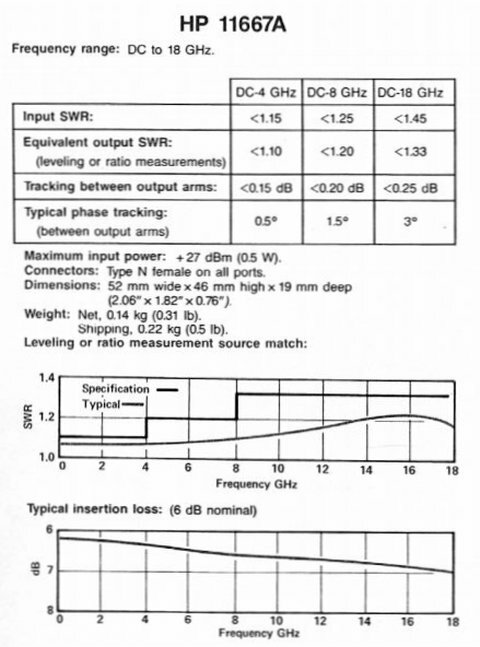 1.2 input SWR – well, pretty acceptable; might still be able to improve by adding some solder or by changing the length of the pin. Good enough.